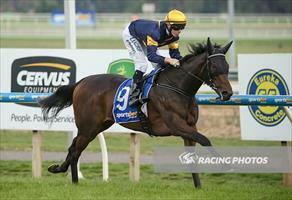 Lilymorn is our only runner when she ventures to Mornington on Wednesday. She runs in race seven, the Benchmark 70 Handicap for Fillies and Mares over 2000m where she will be ridden by Patrick Moloney before he heads to New Zealand for the weekend. Mike Moroney has decided to change tactics with Lilymorn. “The draw is not a help out in 10 but we are going to try and go forward,” Moroney said. Lilymorn has had four starts this preparation for a win at Ballarat and Moroney is expecting a forward showing from the daughter of Rip Van Winkle. “It looks an even sort of race with city form and a lot of different form lines so we’ll need some luck,” Moroney said.